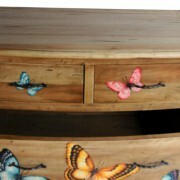 A strikingly beautiful, hand crafted Solid Mahogany chest of 4 drawers. 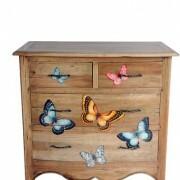 Aged and Distressed finish. 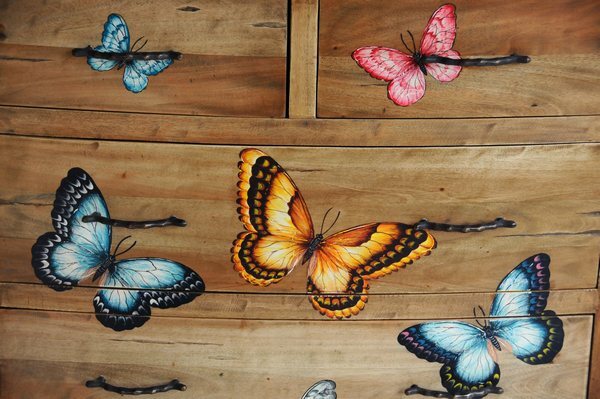 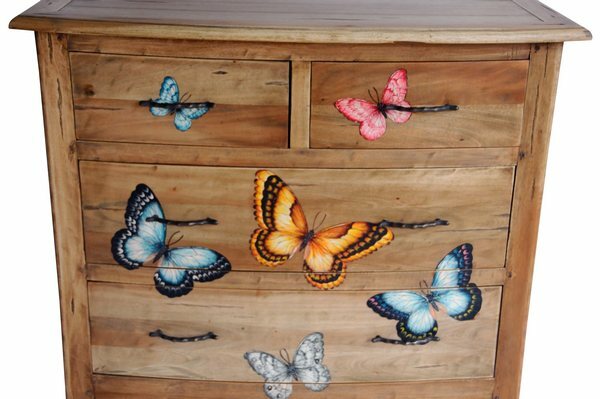 Each piece Hand Painted with a unique Butterfly Design. 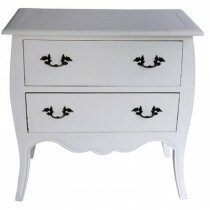 SKU: CAT-001-BW Categories: Chest of Drawers, Clearance. 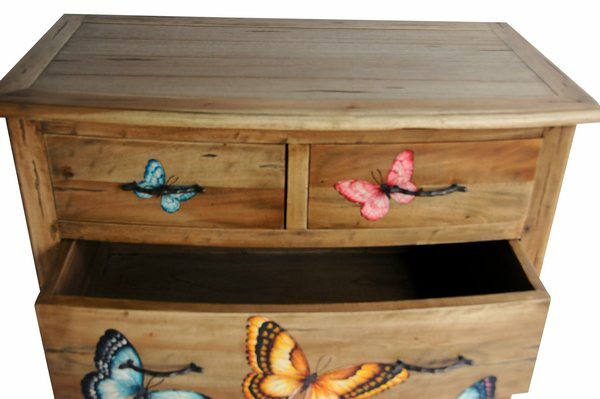 This striking and beautiful large chest of 4 drawers has been hand crafted from Solid Mahogany. 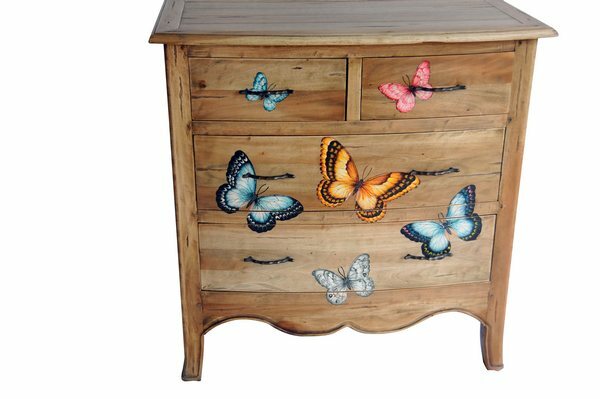 The drawer fronts have been shaped into a beautiful curve and are complemented by a carved arch design at the base of each unit. 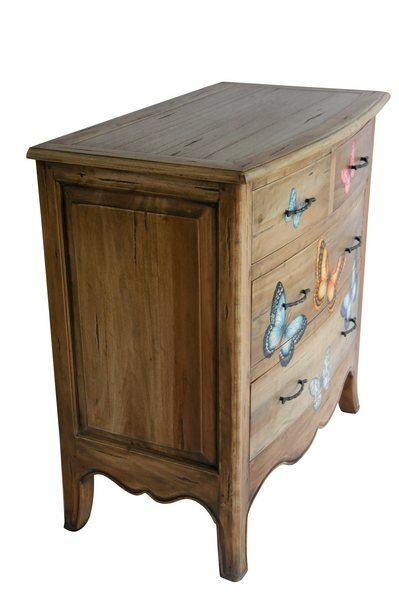 The Catriona Chests are finished in what is known as a blackened wood finish, which gives a natural aged look which is full of character. 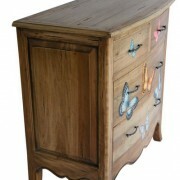 Further, each piece has been hand distressed, giving a really authentic feel. 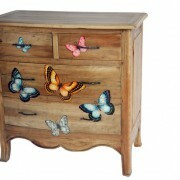 Each individual piece is lovingly hand painted by a specialist Furniture Artist. 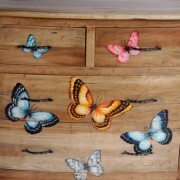 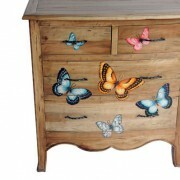 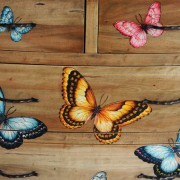 This particular piece is hand painted with a unique and colourful Butterfly Design. 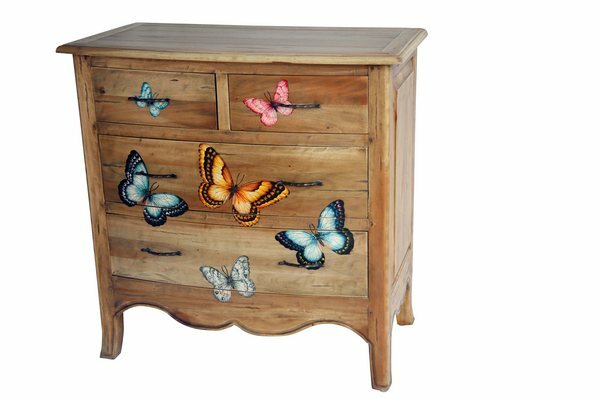 The finishing touch is created by the adding of shaped Antique Brass drawer knobs which compliment the style of this piece perfectly. 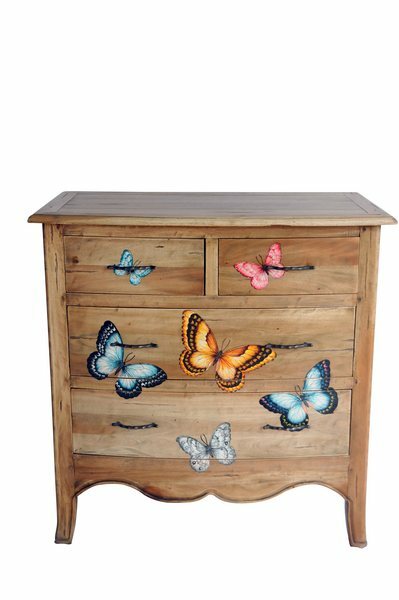 Whilst this piece was designed primarily with the Bedroom in mind, it would sit perfectly at home in any room of the house. 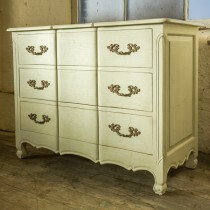 The Catriona Large 4 Drawer Chest is a Fully Assembled unit.